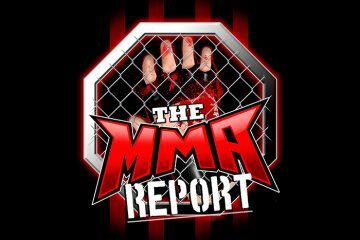 This week on The MMA Report Podcast, Jason and Daniel discuss their top four performances from last week’s mixed martial arts action and Jason has fighter interviews with Ed Ruth, Josh Sampo, and John Castaneda. The start they podcast by discussing their top performances from last weekend in mixed martial arts and the guys eight different fighters that had great performances at various mixed martial arts promotions around the world. After discussing their top performances from last week, Jason and Daniel discuss the incident with Drew Chatman at LFA 36. 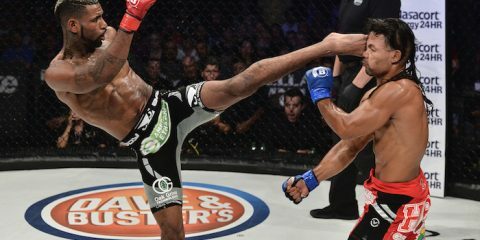 They discuss what type of additional suspension Chatman could receive from the California State Athletic Commission and how this will effect him going forward in his professional mixed martial arts career. 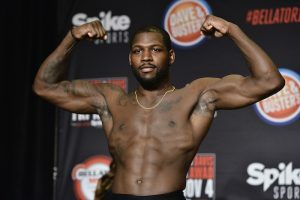 Following that topic, Jason let’s you hear his conversation with Ed Ruth (21:28), who will be fighting next Friday at Bellator 196. During his conversation with the Bellator fighter, Jason finds out why Ruth decided to drop down to the welterweight division and dealing with a late opponent change due to his original opponent pulling out of the event due to injury. 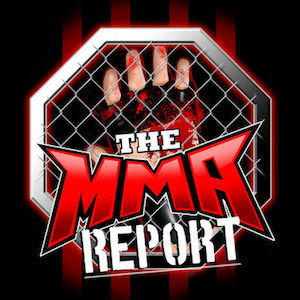 Then after the interview with Ruth, you will hear comments Scott Coker made on Monday on “The MMA Hour” hosted by Ariel Helwani about tape delayed Bellator shows and how he’s working on resolving the issue. Up next is Jason’s interview with Josh Sampo (49:01), who will be fighting Dominic Mazzotta at Bellator 197 on Friday, April 13. Jason talks with Josh about this being his first fight since 2015 and the matchup against Mazzotta in St. Charles, Missouri. Following the conclusion of that conversation, Jason and Daniel discuss several MMA topics including the UFC 223 prelims and Ronda Rousey appearance on ESPN on Tuesday. Then in the final interview on this week’s podcast, Jason chats with John Castaneda about his upcoming rematch at the Combate Americas show on Friday, April 13. 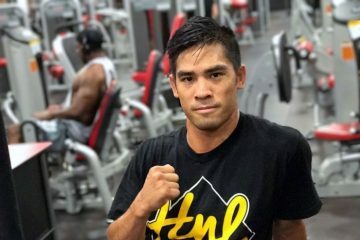 Along with previewing his upcoming fight, Castaneda talks about the one-night tournament he took part in last year and what the future holds for him. And in the final portion of the podcast, Jason and Daniel discuss the CamSoda Legends event that will take place next month in Ft. Lauderdale. Thanks for listening to this week’s podcast and be sure to subscribe, rate, and review the podcast.